Edward Biddulph shares his love of the Bond books and books about Bond. I can’t remember when I first got into Bond, but I was certainly aware of Bond from an early age, perhaps 7 or 8. I have vague memories of watching Goldfinger on the television at that age. I collect interesting editions of the Bond novels, but also books about James Bond. 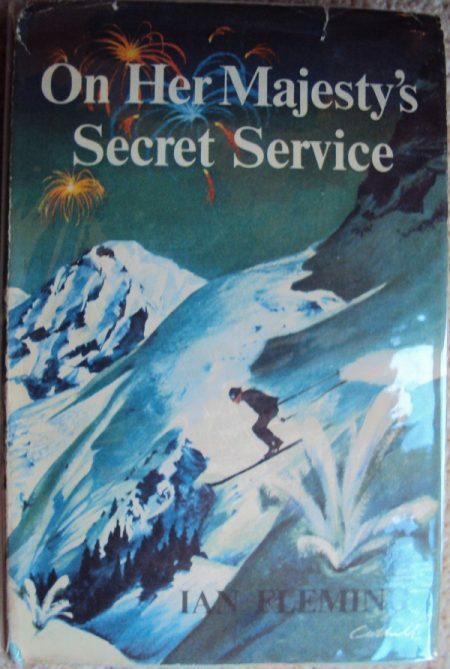 My favourite item is the book club edition of On Her Majesty’s Secret Service. The copy was owned by my grandparents, and as child, I was drawn to the book and its exciting cover in my grandparents’ bookcase whenever I visited. Consequently, it was the first Bond book I read, aged about 12. Looking at and handling the book now evokes memories of my grandparents and my first encounter with the literary Bond. 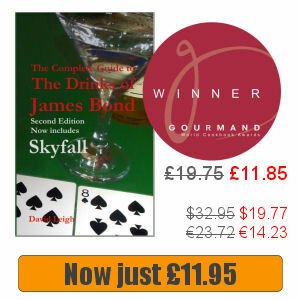 That’s easy: the first edition of Casino Royale. I did own a copy (an ex-library edition) not so long ago, but unfortunately had to part with it for financial reasons. The lack of money or, rather, the need to spend it on food and other non-essentials! 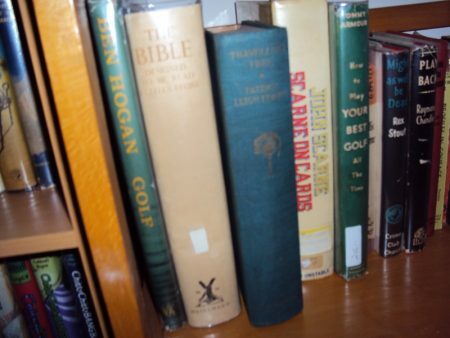 More seriously, one issue is that, while eBay and other online stores have made it easier to find Bond-related books, they have also, paradoxically, made collecting harder. In the past, there was a reasonable chance of finding bargains in second hand bookshops and charity shops, but now more often than not I come away from such places empty-handed. The selling of Bond books has moved largely online, and with it, prices have risen and the thrill of the discovery has lessened. 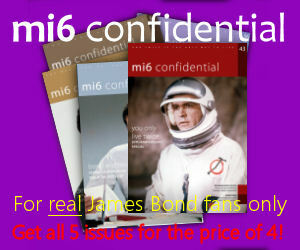 My collecting tip is for anyone starting out in collecting first editions of the Bond books. If you’re on a budget, my advice is to buy cheaper copies without dust jackets or ex-library copies, then look to trade up when you get a chance. Edward wrote 007 cookbook Licence To Cook: Recipes Inspired by Ian Fleming’s James Bond, available from Amazon UK and Amazon.com.